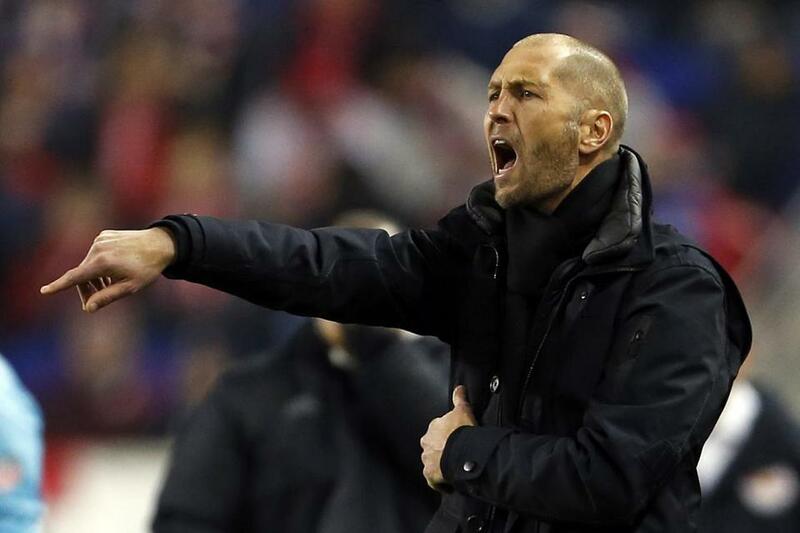 Columbus Crew head coach Gregg Berhalter, the godson of Red Sox legend Carl Yastrzemski, was hired Sunday to direct the US men’s national soccer team as head coach. Gregg Berhalter, the godson of Red Sox legend and MLB Hall of Famer Carl Yastrzemski, was hired Sunday to coach the US men’s national team, making him the first person to run the team after playing for the Americans at the World Cup. Berhalter, 45, who spent the past five seasons as coach of Major League Soccer’s Columbus Crew, represents a generational change for an American team staggered by its failure to reach this year’s World Cup after seven straight appearances at soccer’s showcase. A native of Englewood, New Jersey, Berhalter grew up in Tenafly and played alongside future US captain Claudio Reyna at Saint Benedict’s Prep in Newark. Berhalter was long viewed as the front-runner for a job that stayed open for nearly 14 months. He is the second youngest coach for the Americans in four decades; Steve Sampson was 38 when he took over in 1995. Berhalter’s47-year-old brother, Jay, is the US Soccer Federation’s chief commercial and strategy officer. A defender who made 44 appearances for the US from 1994-06, Gregg Berhalter started on the left side of a three-man back line in the 2002 knockout stage matches against Mexico and Germany after Jeff Agoos got hurt and US coach Bruce Arena changed formation. He played college soccer at North Carolina. Months after the US hosted the 1994 World Cup, Belhalter made his national team debut that October in an exhibition at Saudi Arabia. Berhalter played at the club level with Zwolle (1994-96), Sparta Rotterdam (1996-98), Cambuur Leeuwarden (1998-00), Crystal Palace (2001-02), Energie Cottbus (2002-06), 1860 Munich (2006-09) and the LA Galaxy (2009-11). ‘‘His willingness, work ethic and ideas about developing this player pool and influencing these players in and outside of camp and the thought process he has about that — constantly seeking new things — set him apart,’’ Stewart said.